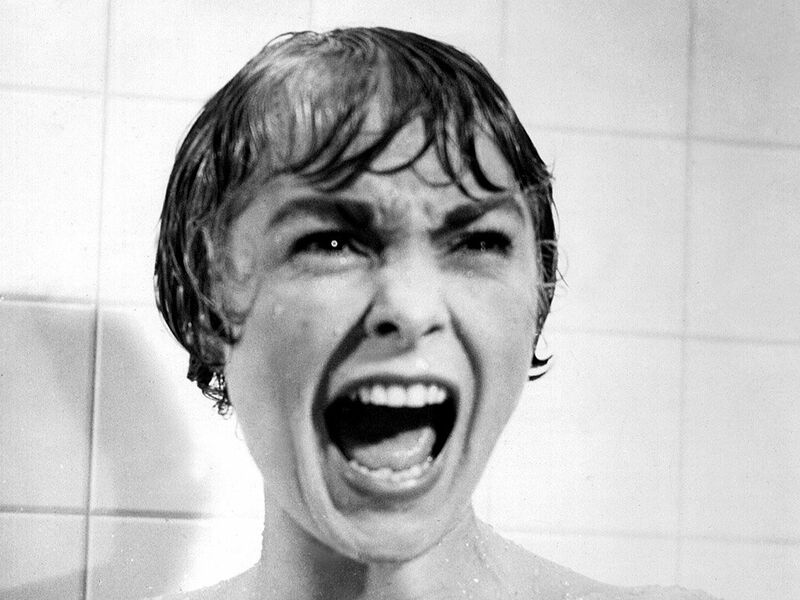 Halloween is almost here, so you know what that means: time to watch a scary movie! But there are so many good ones out there, how are you supposed to decide what to watch? Well, we've got you covered. All you have to do is find your state (or capital if you live in D.C. I guess) and we'll give you a horror movie that was either set or filmed there. 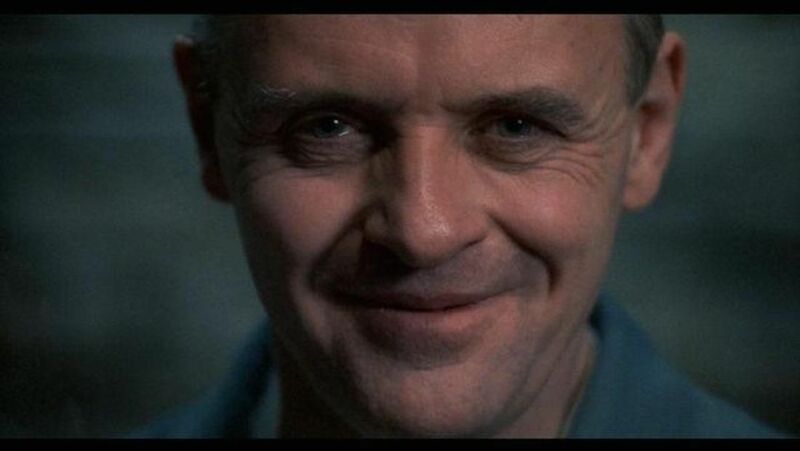 Yes, this movie is a lot more recent than what we’d typically talk about, but when your options come down to Get Out or Manhunter, it’s not even really a choice. Who would have guessed that one of the best horror movies of the past decade would come from the mind of a MADTV alum/one half of the comedy duo Key & Peele. 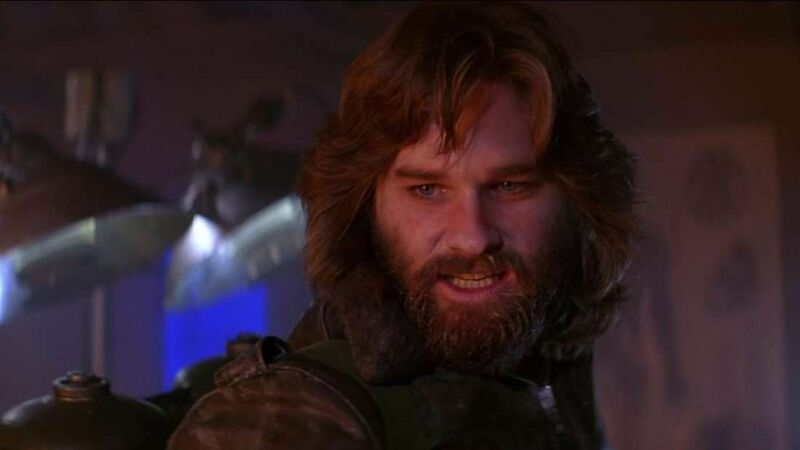 John Carpenter and Kurt Russell are the ultimate 80s power duo thanks to Escape From New York, Big Trouble in Little China, and of course, The Thing. 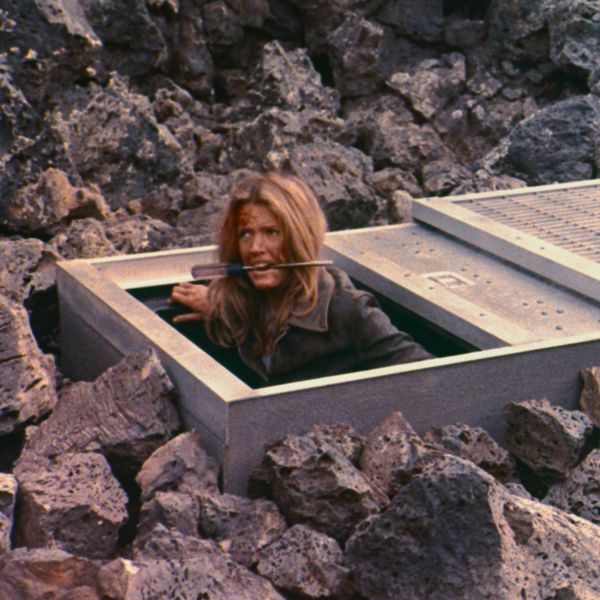 The practical effects might seem kind of cheesy now, but they won’t seem so silly once you realize just how much they've actually freaked you out. While it might not be “scary” by today’s standards, Alfred Hitchcock’s classic is iconic, and basically the grandfather of slasher movies. Fun fact, this movie is actually the first time a flushing toilet was shown in a mainstream movie in the US. The only thing scarier than a good horror movie, is a good horror movie that’s based on actual events. The actual “Phantom Killer” attacked eight people between February 22nd and May 3, 1946, in and around the town of Texarkana. While the movie plays a little fast and loose with the facts, there is one part they got 100% right: the killer was never found. Scream might be a little more black comedy than horror, but it’s hard not to enjoy how Wes Craven points out - and pokes fun at - the overused cliches that tend to show up in slasher movies. While Stephen King himself may not be a fan, it’s hard not to love this movie and how it manages to be as unsettling as it is beautiful. 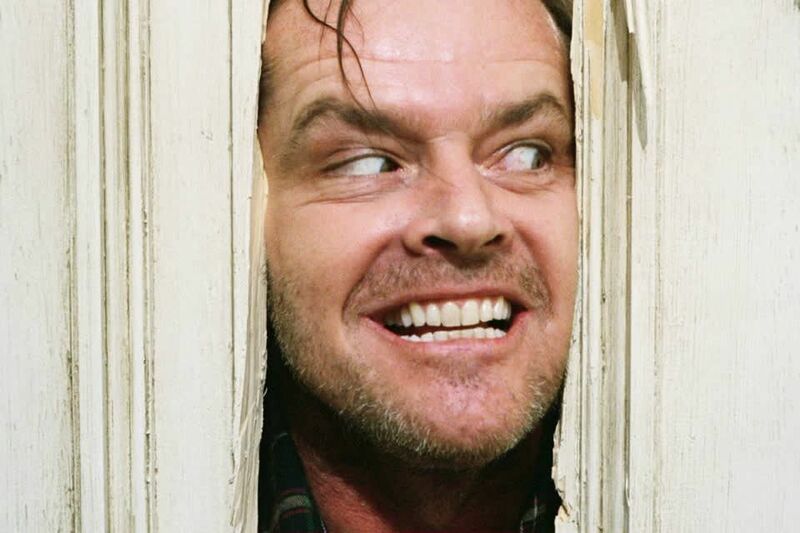 It’s definitely a slow burn, but Jack Nicholson chewing the scenery as Jack Torrence makes it more than worth the wait. While this was made in the last ten years, you wouldn’t guess that from looking at it. Ti West’s tale of a babysitting job going horribly wrong was even shot with 16mm film to give it the right feel. This love letter to 80s horror even got a promotional release on VHS, complete with a clam shell case. 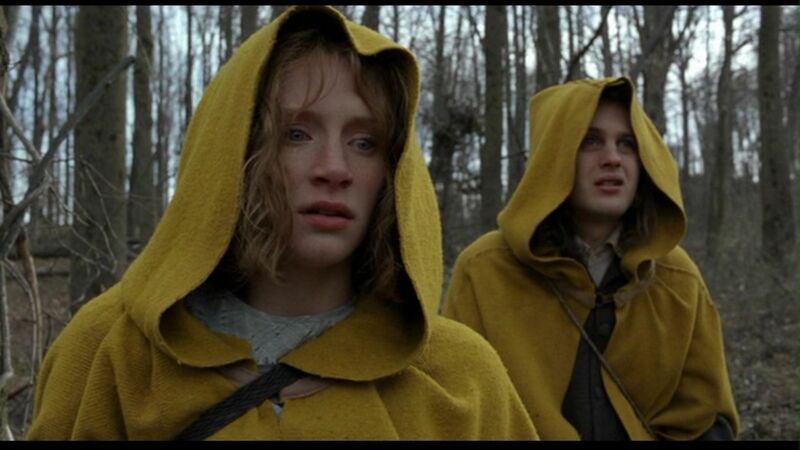 I’ll be honest, there weren’t many options for this one, and I didn’t want to throw in a movie that wasn’t worth watching just because it was entirely shot in “The First State.” Fortunately, part of M. Night Shyamalan’s The Village was shot in Centerville. While it’s no Sixth Sense, it is a much better movie than the critics gave it credit for, and it’s also a lot better than any of the other options I could have picked, so you’re welcome. 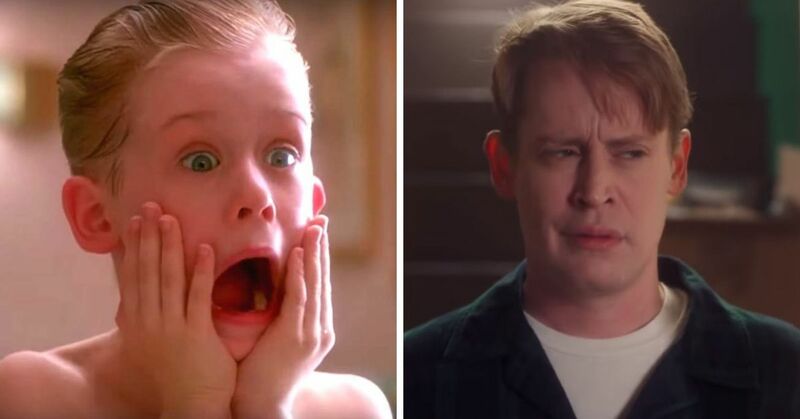 One of the rare cases where a remake ends up being as good as the original. 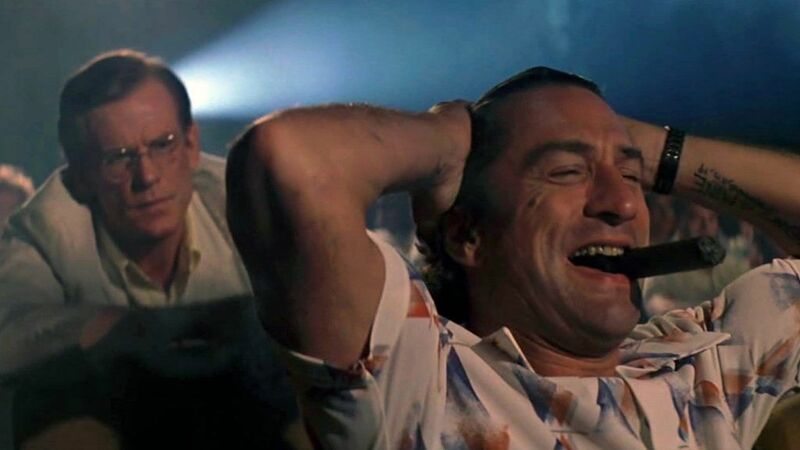 Robert DeNiro is straight up terrifying as Max Cady, and even if you know how it ends, you’re still gonna spend the whole movie on the edge of your seat. Not an easy movie to watch, but it’s a classic, and it features the late, great Burt Reynolds at his best. 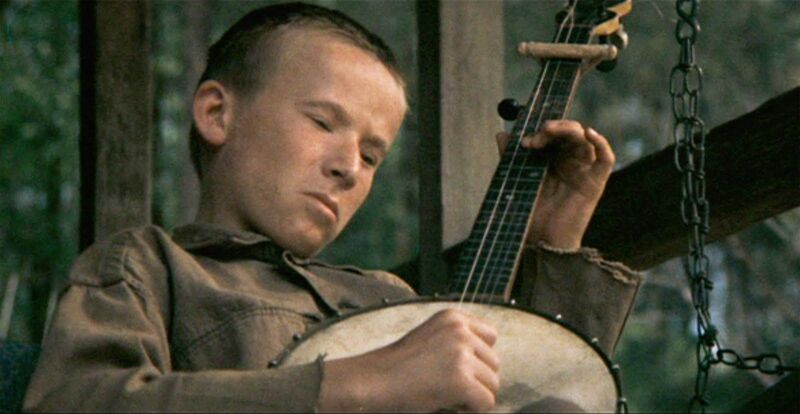 It will definitely ruin both canoe trips and banjo music for you, though. While I wouldn’t say this movie’s great, it is definitely entertaining. A couple’s Hawaii honeymoon takes a turn into murder and mayhem after encountering two other couples during a hike. 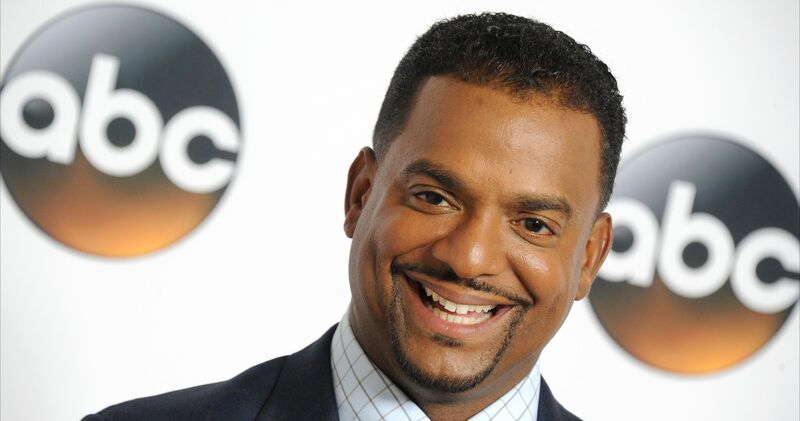 You’ll probably see the twist coming a mile away, but you’ll still have fun. Full disclosure, I haven’t seen this one, but apparently Idaho isn’t the most happening place to make a horror movie, so options were limited. But hey, it’s directed by Peter Fonda and Keith Carradine’s in it, so it can’t be bad, right? With Earth facing an imminent ecological catastrophe, scientists are forced to send teens over 50 years into the future, in the hopes that they can rebuild society. But it turns out the future is even worse than they imagined. An iconic movie that should honestly be required viewing every October along with It’s the Great Pumpkin, Charlie Brown. And why not make it a double feature and go see the new one right after. Based on the real-life, horrific murder of Sylvia Likens, this movie proves that reality is infinitely more terrifying than fiction. 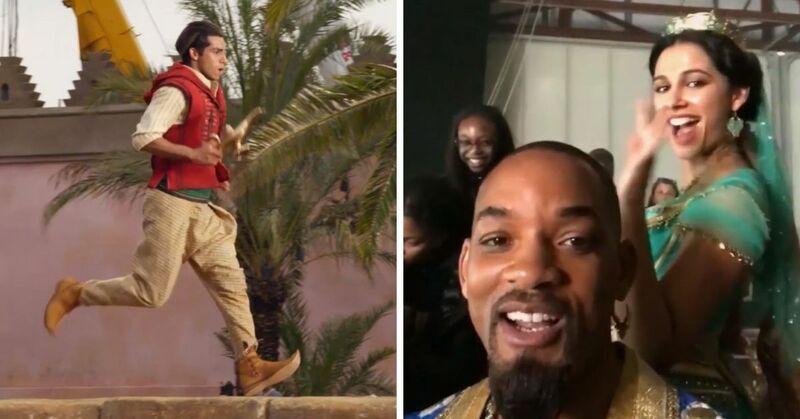 It’s not often that a remake can hold up compared to the original, but this one pulls it off. Equal parts tense and brutal, this tale of a town literally losing their minds has an ending that will leave you wondering who the real monsters are. 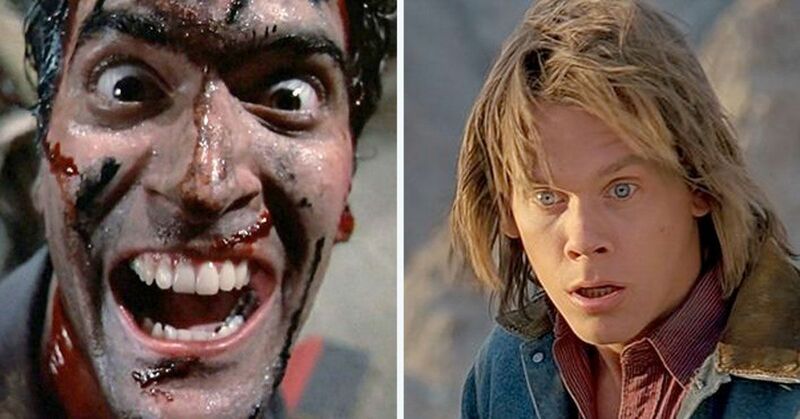 Wild and campy in a way that only 80s movies seem to pull off. 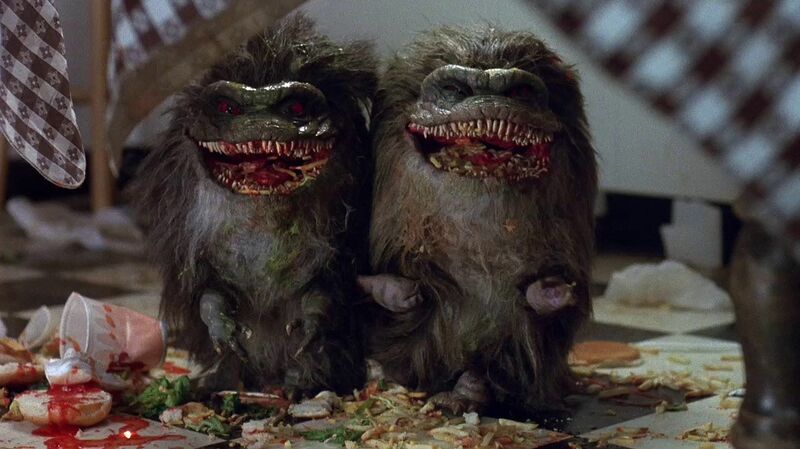 Basically a more violent Gremlins, but with aliens. Zombies might be done to death now, but don’t let that scare you off from watching one of the best horror comedies ever made. Plus this movie is what spawned the cliche that zombies eat brains, so it’s basically an important cultural artifact. While he might not be a household name like Freddy, Jason, or Michael, Victor Crowley has definitely earned his place among the icons of slasher movies. But it all starts with this gory romp through the Bayou as a group on a haunted swamp tour discover that a creepy legend is all too real. This one also gets bonus points for having some of the most creative and inventive deaths you’ll ever see in a horror movie. For Maine I did consider just putting “Almost Any Stephen King Adaptation” but that seemed like a cop out. 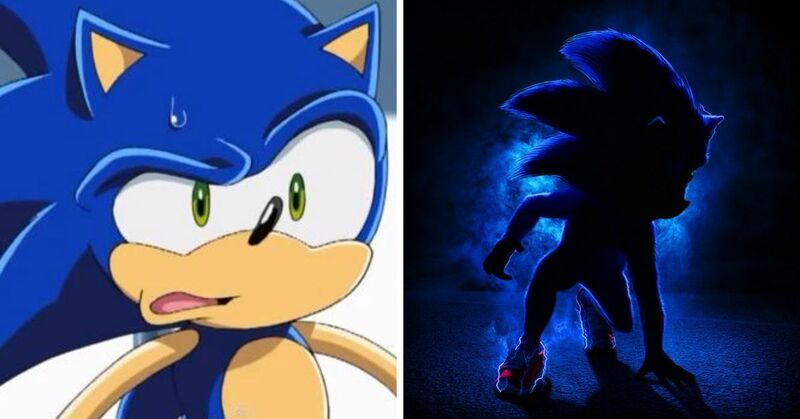 Last year’s revamp of King’s epic It seemed the clear choice, if only because it reminds us that there’s literally nothing more terrifying than puberty. 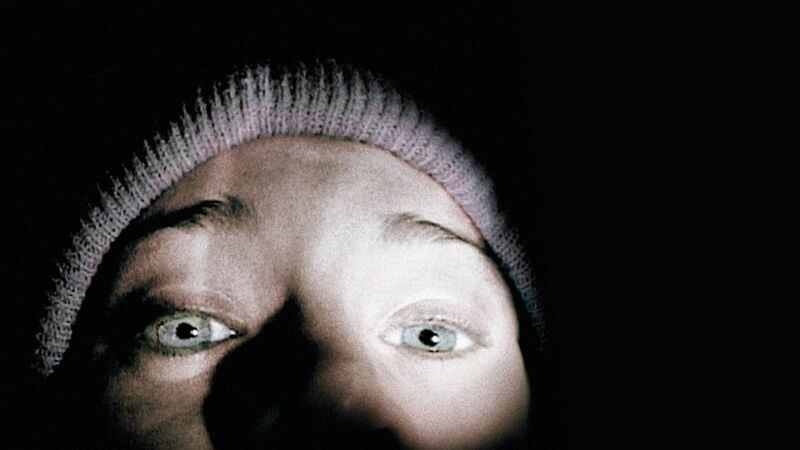 One of the first examples of a viral marketing campaign, The Blair Witch Project sort of became a victim of its own hype. It’s definitely a slow burn, but it builds suspense so well, that when you get to the end, that last scene is something you won't soon forget. Probably one of the scariest movies that most people have never seen. While it’s not surprising that an abandoned asylum would be so unsettling, it’s what happens at the end that’s going to stick with you long after the credits roll. I’ll be the first to admit, the basic premise sounds ridiculous: an STD that’s a shape-shifting monster which walks towards you until either it catches you or you pass it on to someone else. But somehow, this movie makes it work and you’ll find yourself more than a little uncomfortable the next time you see someone walking towards you. The critics absolutely hated it, but then again, this movie is the exact kind of thing they tend to hate (god forbid anyone actually have fun while watching a movie). 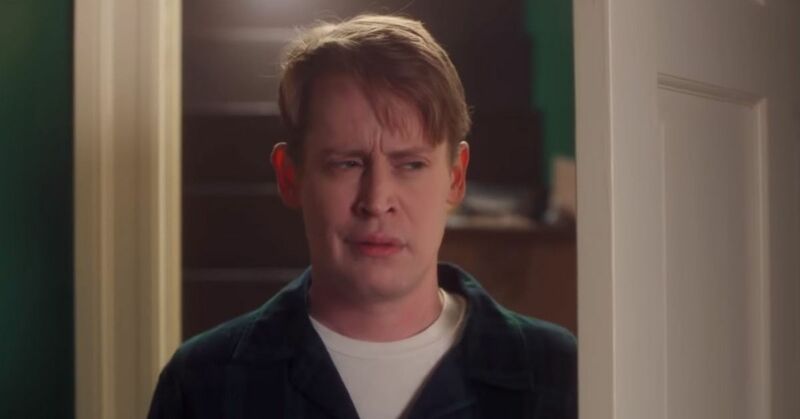 It’s campy in the best way, though the scariest part will probably be how uncomfortably familiar Needy and Jennifer’s codependent friendship is for anyone who was ever a teenage girl. I definitely wouldn’t call this a “good” movie, but horror fans will definitely get a kick out of it. 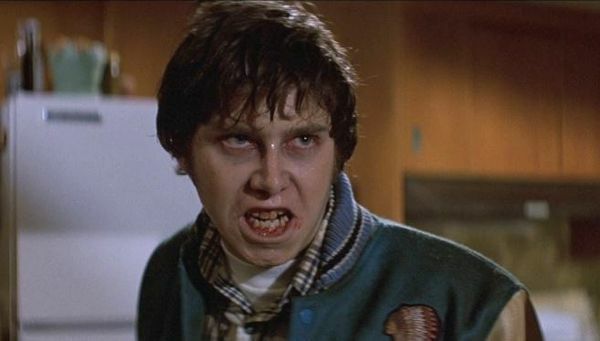 Since it was written by Tom Holland, the man who would go on to direct both Fright Night and Child’s Play, you know that even if its bad, it’ll at least be wild. I'm not even going to pretend like this isn't one of my all time favorite horror movies. 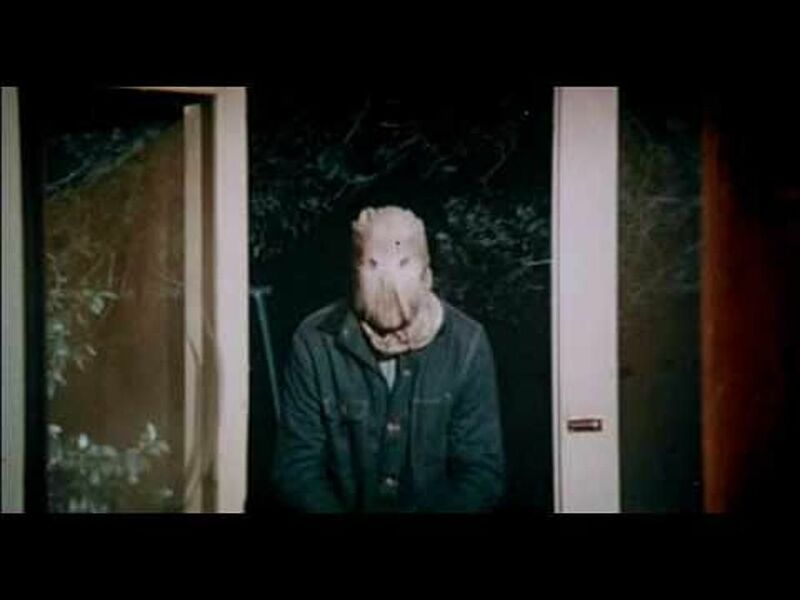 While it leans a little more towards black comedy than straight up horror, there are still some solid scares, and the intruders’ animal masks are more than a little creepy. Not to mention that the cat-and-mouse game between the intruders and Sharni Vinson’s Erin is one of the most satisfying showdowns you’ll ever see. 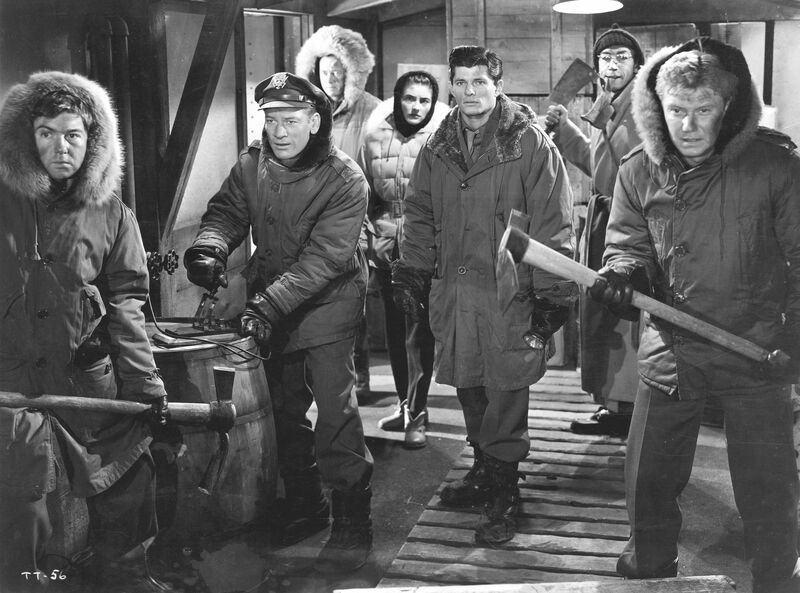 Even though it’s set in Alaska, this OG version of The Thing was partially shot in Montana’s Glacier National Park. While John Carpenter’s version is definitely the scarier of the two, this is still undoubtedly a classic. 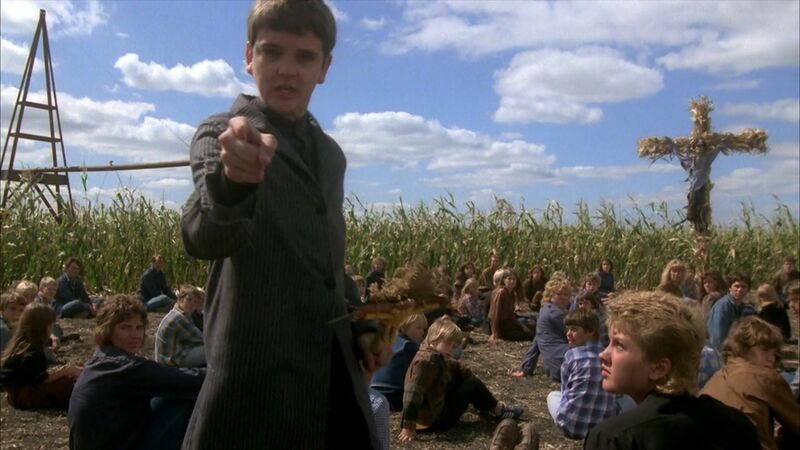 This movie will make you suspicious of basically any child you encounter in the midwest. Maybe also avoid cornfields just to be safe. Is this movie “good”? Of course not. Are you going to love it anyway? More than you can possibly imagine. 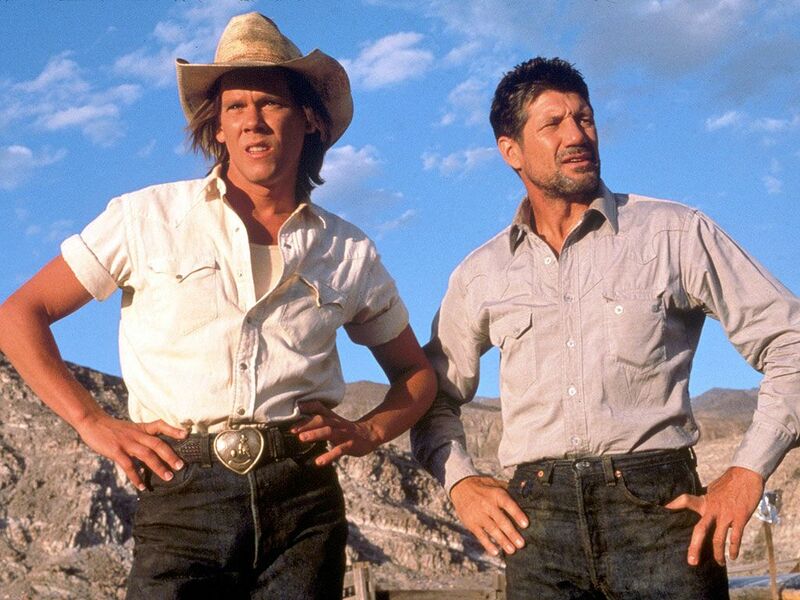 It’s got Kevin Bacon in a cowboy hat, what more could you possibly need? Chock full of Easter eggs for horror fans to find, this over-the-top slasher takes the urban legends we all know and love and uses them to kill a bunch of college students. The final twist is admittedly kind of dumb, but you’ll still have a blast watching this movie. With the news that Lebron James is looking to reboot the franchise (again), why not go back to where it all began? I won’t spoil the ending for you, but if you don’t already know the movie’s final twist, you’re in for a real shock. I considered putting Indiana Jones and the Kingdom of the Crystal Skull as a joke, but even I’m not that cruel. 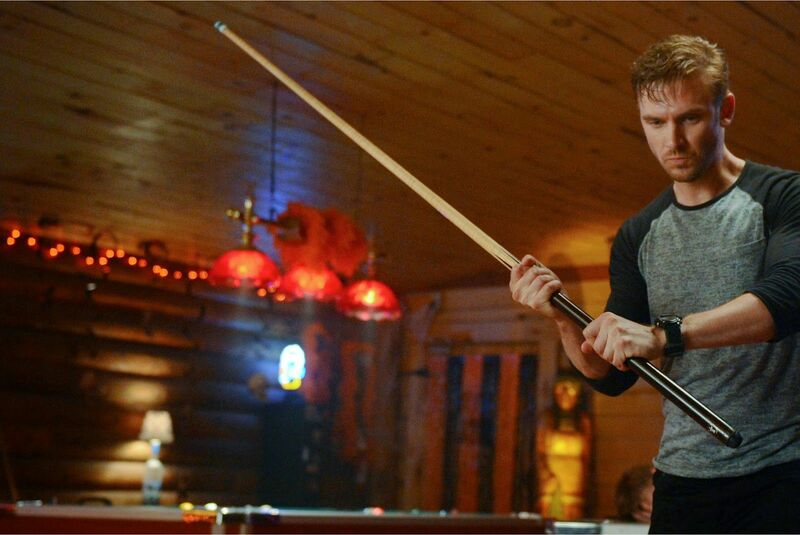 Instead, we’re going with a movie that’s actually good, 2014’s The Guest. An intense thriller from the same minds that gave us You’re Next (Adam Wingard and Simon Barrett - see the entry for Missouri) and stars an extremely unsettling Dan Stevens and Maika Monroe, who also starred in 2015’s stellar It Follows (the pick for Michigan). This one will definitely make you second guess having house guests ever again. 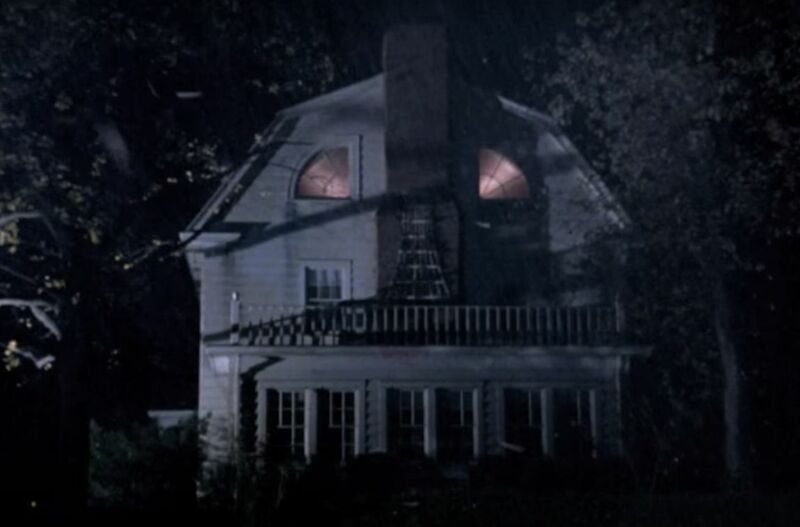 Whether or not the book it’s based on is a hoax, this first movie version of the Lutz family’s experiences in their new house is pretty terrifying. While this one features scares galore and a solid cast led by James Brolin and Margot “Lois Lane” Kidder, it’s probably best if you just pretend literally none of the other “Amityville” movies exist. I know, it’s weird that I’m suggesting you watch a sequel. 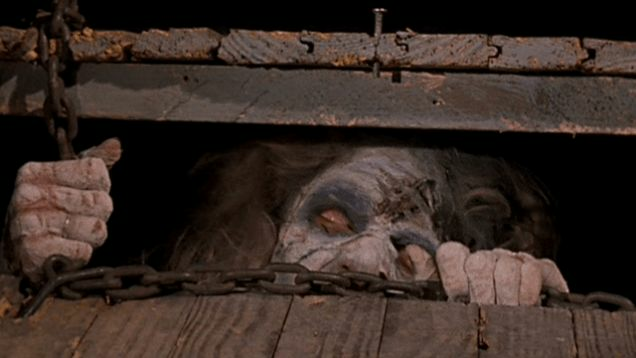 But Evil Dead II, is one time where seeing the first movie in the series isn’t really necessary, since the first part of it is basically a shorter (some would say better) retelling of what happens in The Evil Dead. Obviously the whole trilogy is worth watching, but this was the only one shot in NC, so here we are. Besides, it’s clearly the best of the series. 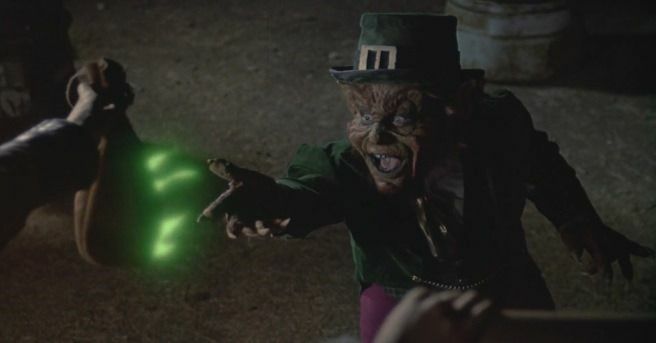 This movie definitely falls under the umbrella of “so bad it’s good.” While Jennifer Aniston probably wishes her first big role was in a different movie, I can honestly say I enjoyed Leprechaun a lot more than I ever enjoyed Friends. It’s just so hard not to love Freddy Krueger. 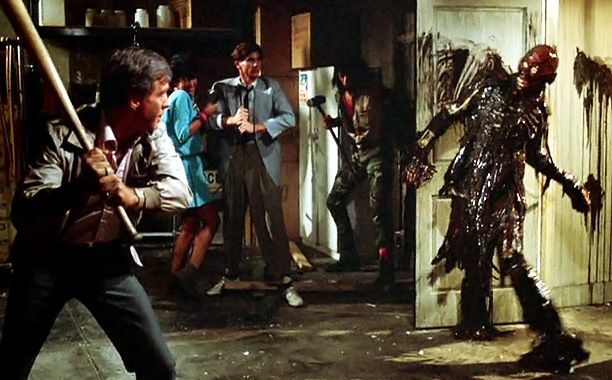 You can only see so many giant, silent slasher monsters wearing masks and coveralls before it honestly starts to get a little ho-hum. 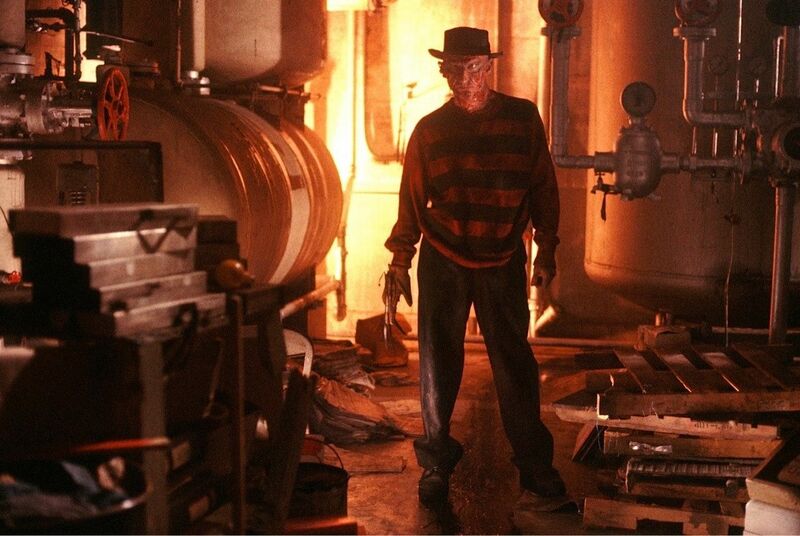 Good thing we’ve got Freddy here to literally haunt our nightmares! 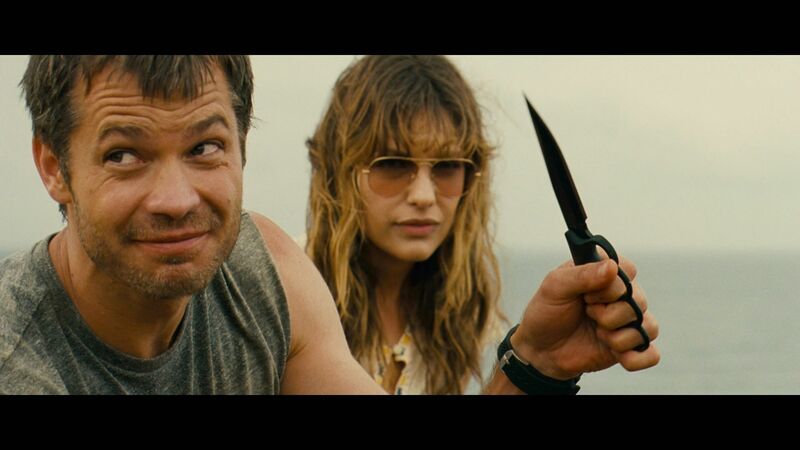 Long before she won an Oscar for Hurt Locker, Kathryn Bigelow made this vampire-meets-western cult classic. 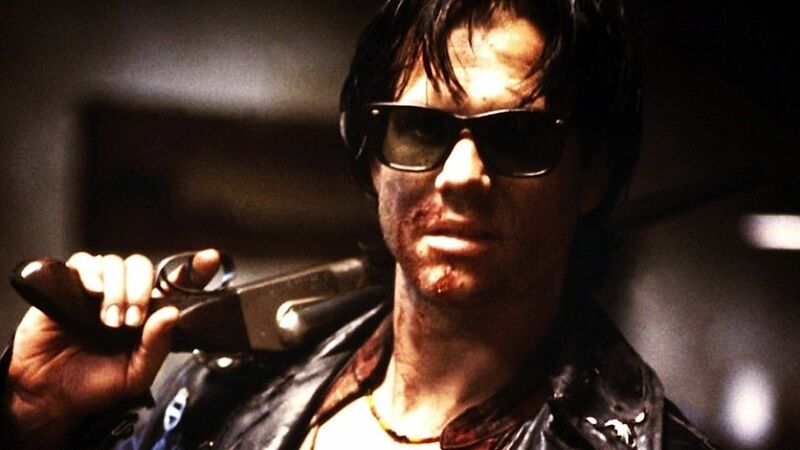 You really can’t go wrong when you’ve got Bill Paxton as your villain and giving the performance of his career. I honestly had no clue how badly I needed Patrick Stewart to play a villain until I saw this movie. 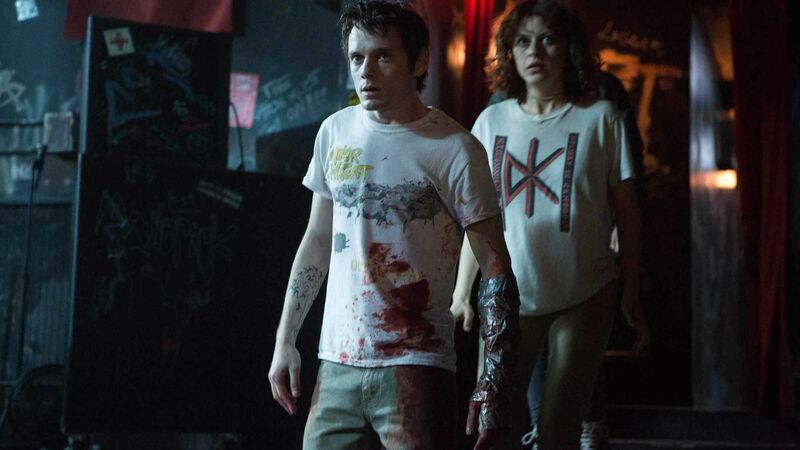 After witnessing a murder backstage after their show, a punk band has to try and survive the worst night of their lives. It’s both gruesome and darkly funny, and so intense that by the time you make it to the end you’ll feel like you just finished the world’s longest rollercoaster. If it weren’t for George Romero and his Night of the Living Dead, the modern zombies that we know and love (or love to hate) wouldn’t exist. 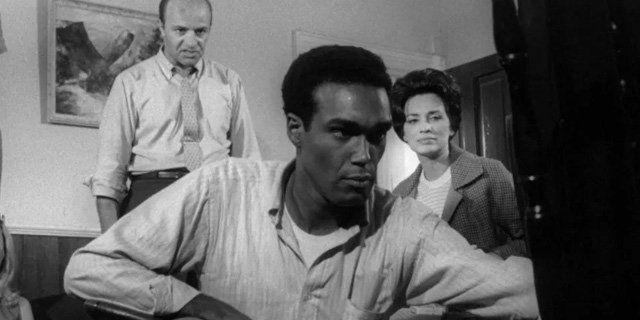 Don’t let the fact it’s 50 years old fool you, this movie has an ending that just as (if not more) shocking than anything you’ll see in movies today. Even though it’s recent, James Wan’s first movie recreating the (allegedly) true cases of paranormal investigators Ed and Lorraine Warren feels a lot like a movie from the 70s. 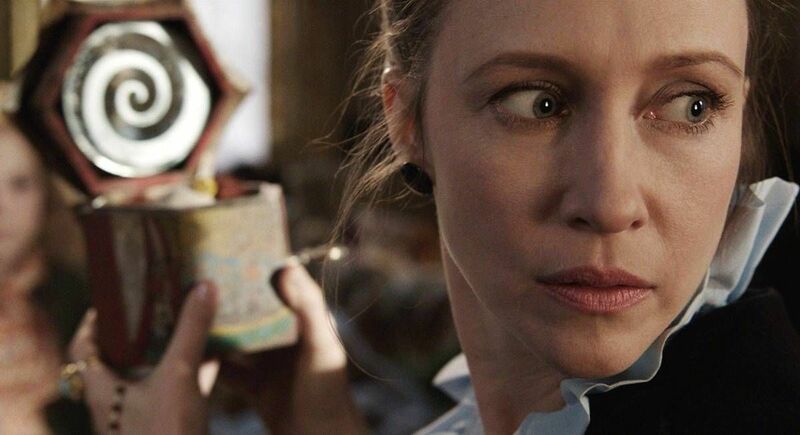 While the other movies in “The Conjuring Universe” have been more miss than hit, the movie that started it off is solid. As scary as monsters and the supernatural can be, they’re never nearly as terrifying as a human threat. 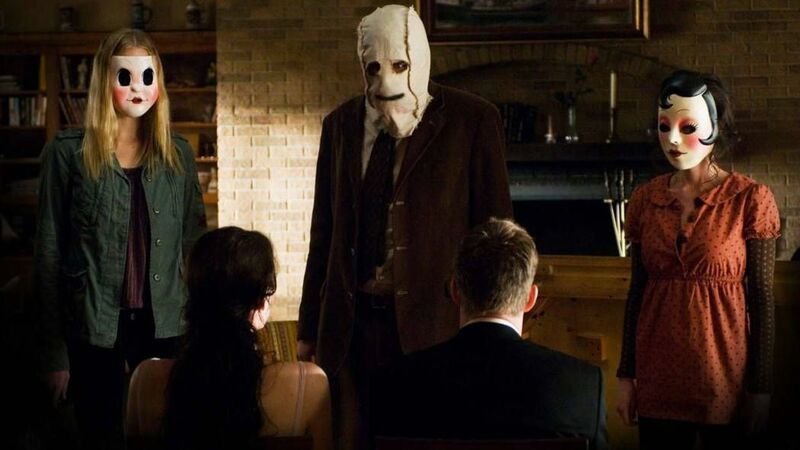 While The Strangers is far from the greatest horror movie ever made, it builds suspense remarkably well and has an ending that lands like a gut punch. While I’m sure South Dakota is good for many things, serving as the setting of a horror movie is apparently not one of them, based on how slim the pickings are. 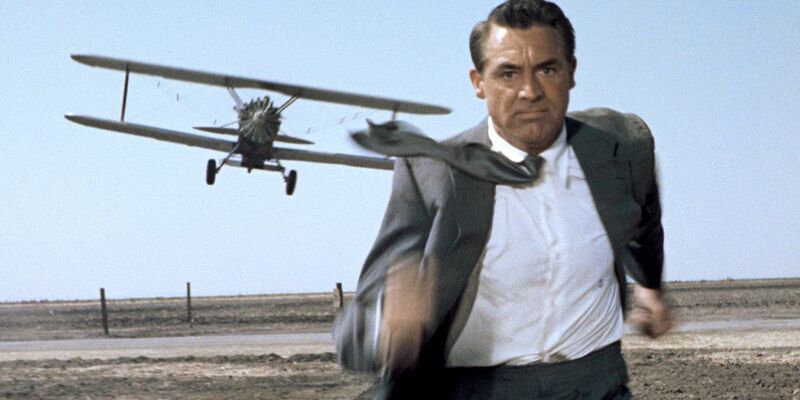 Alfred Hitchcock’s North by Northwest isn’t “scary” by any stretch, but it’s a pretty great thriller. 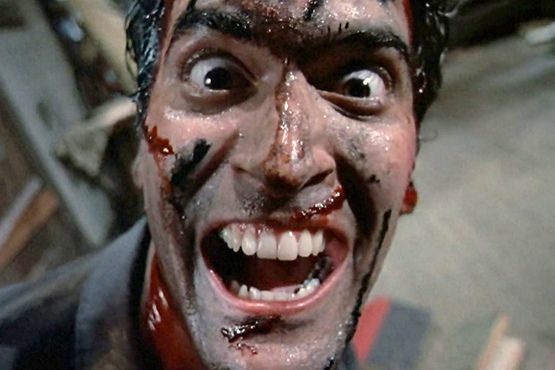 While most people tend to pick Evil Dead II or Army of Darkness as their favorite movies of the trilogy, the first one deserves a lot more love than it gets. It definitely takes itself way more seriously than either of its sequels, that’s not a bad thing. It also has a scene involving a pencil that never fails to make me want to cover my eyes, and let me tell you, that’s not an easy thing to do. This is definitely a controversial pick. The obvious choice would be to go with the 1974 original, which don’t get me wrong, is a classic and worth watching. That being said, even though the original is the better movie, I actually like the remake more. It honors Tobe Hooper’s vision without just copying it, and it’s a lot smarter than the horror movies reboots we’ve gotten for other franchises. I know it’s too early to start celebrating Christmas, but considering how many stores have already started carrying stuff for it, why not lean into it a little? 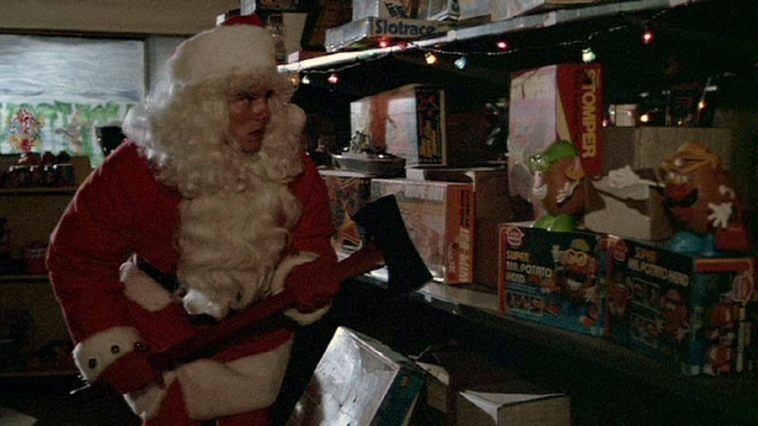 Besides, if you’re sick of seeing Christmas stuff creeping earlier and earlier into the year, there’s no better way to work through that anger than by watching a dude dressed as Santa swinging an ax around. It helps, trust me. It’s kind of hard to believe that the guy who gave us the Back to the Future trilogy and Forrest Gump also gave us this supernatural thriller starring Harrison Ford and Michelle Pfeiffer. But here we are. I was going to include its trailer, but both of the ones they had on YouTube basically gave away the whole movie, and that’s no fun. So instead, here’s a creepy scene from it. So this sort of sneaks in on a technicality because while it’s got a couple scenes at Quantico, most of the movie takes place elsewhere. But who cares, it’s a great movie. 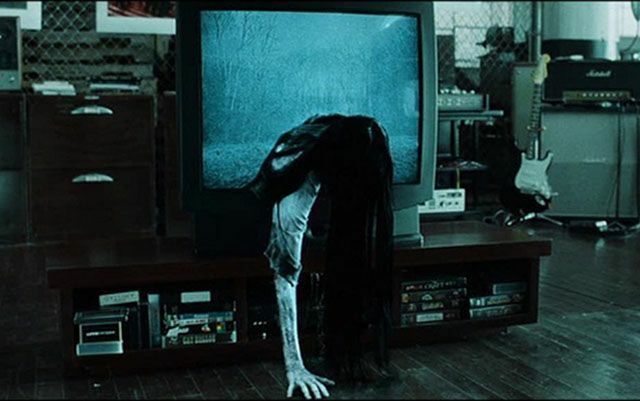 Most of the time, Hollywood remakes of international movies end up falling flat, but The Ring is a rare exception. While the whole “haunted VHS tape” thing wouldn’t work today, this movie is somehow still as terrifying as it was when it first came out. Though maybe that’s just because I’m old enough to remember what a VCR even was. 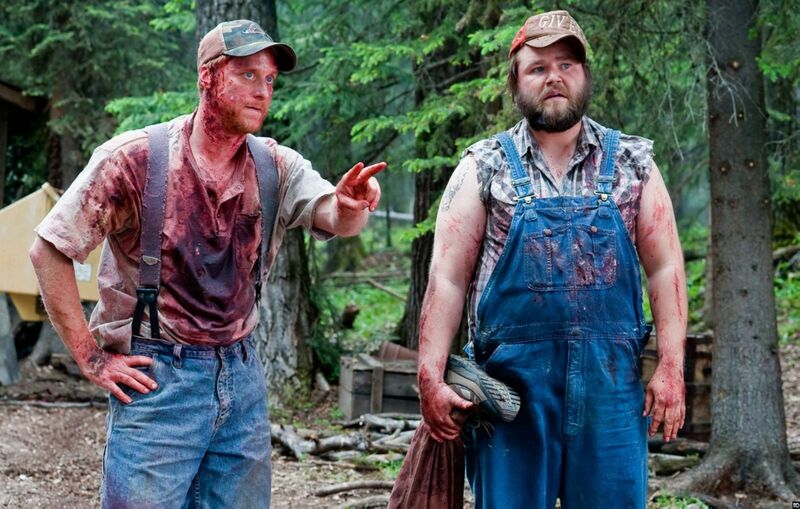 A literal comedy of errors where two hillbillies trying to take a vacation at their cabin are forced to deal with college kids accusing them of murder after their friends start dying off in gruesome and increasingly hilarious accidents. Another rare example of a remake actually being as good as the original. George Romero’s original is definitely hard to beat, but Zack Snyder does a solid job of giving it a modern twist while still keeping it scary. Also I don’t care what anyone says, running zombies are terrifying. While this Steven Spielberg classic is really more science fiction than anything else, the idea of being abducted by aliens is creepy enough that we’ll say it counts. Because aliens. The movie that terrified audiences and taught a generation of kids to stay the hell away from ouija boards, while also forever ruining pea soup. 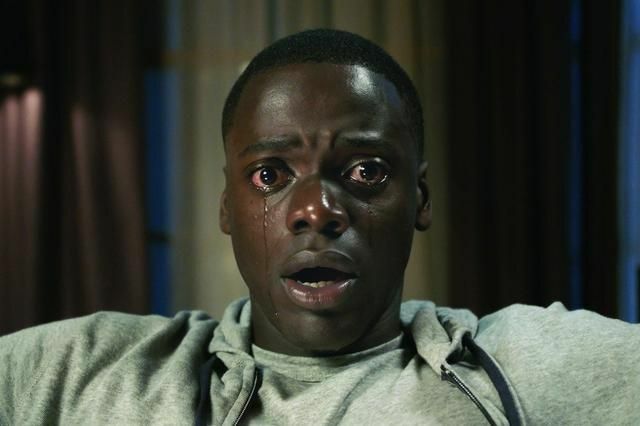 While it seems almost tame compared to some of the horror movies that come out today, anyone who says they weren’t even a little scared by it is lying.